From Romulus to the empires of Augustus and Charlemagne to today’s European Union, three eminent historians focus their attention on Europe and its enduring quest for unity. Mary Beard. 2015. Liveright Publishing, W.W. Norton & Company, New York, 608 pages. Adrian Goldsworthy. 2014. Yale University Press, Newhaven and London. 624 pages. Peter H. Wilson. 2016. Belknap Press, Harvard University Press, Cambridge MA. 1008 pages. Glory, power and splendor, or bloodshed, murder and ruin? What comes to mind when you think of the Roman Empire? Is it the image of a golden imperial eagle, or a gleaming marble arch? Or possibly the emperor himself, Augustus or Nero perhaps, crowned with a laurel wreath and dressed in imperial garb. History books have not only inspired many of these mental images but have also taught us most of what we know about one of the greatest superpowers of all time: that the Roman Empire began in 27 BCE, and that by 285 CE it had grown too large to be ruled from just Rome, so Emperor Diocletian divided it into western and eastern halves. In the west it ended in 476 CE; in the east it continued as the Byzantine Empire until 1453. History books also tell us that the influence of the Roman Empire on Western civilization has been incredibly far-reaching, not least in the form of the Holy Roman Empire, which continued for a thousand years from 800 to 1806. What few history books discuss is how the legacy of the Roman Empire is still profoundly relevant today. 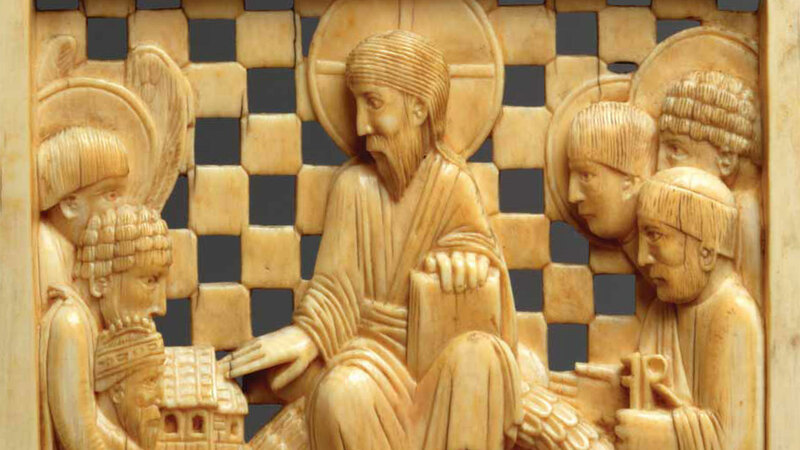 Here we review three recent works on the subject, each of which introduces material that departs in various ways from standard histories and reconsiders Rome’s impact and its implications in the 21st century. Where did empires and the notion of emperors originate? One of the most ancient empires recorded, the Chaldean (625–539 BCE), was also called Babylon after the name of its capital city; its king of kings was Nebuchadnezzar, whose reign is chronicled in the biblical book of Daniel. Then came the Medo-Persian Empire (ca. 558–330 BCE), so called because it joined together the Medes and the Persians. It was conquered by Alexander the Great between 333 and 330 BCE as a third empire—that of Macedonia (Greece)—came onto the world stage. Yet a fourth, spreading out from a single city, Rome, eclipsed and absorbed all those empires that had gone before. 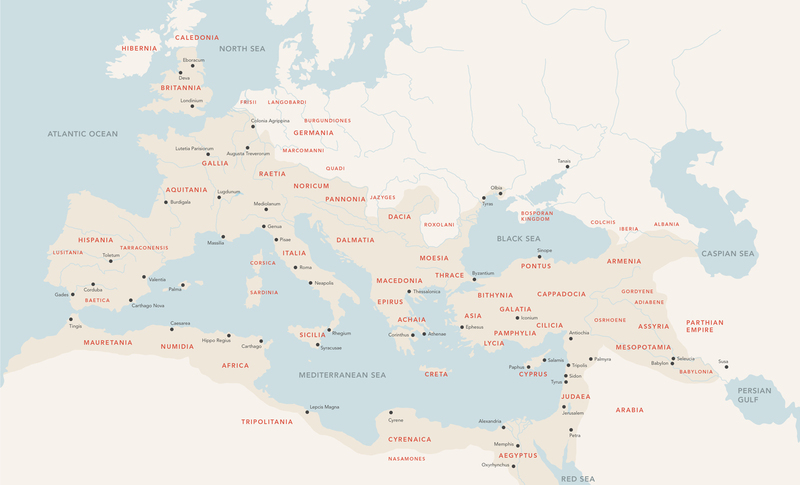 Prior to becoming the Roman Empire, Rome was a republic. In S.P.Q.R. 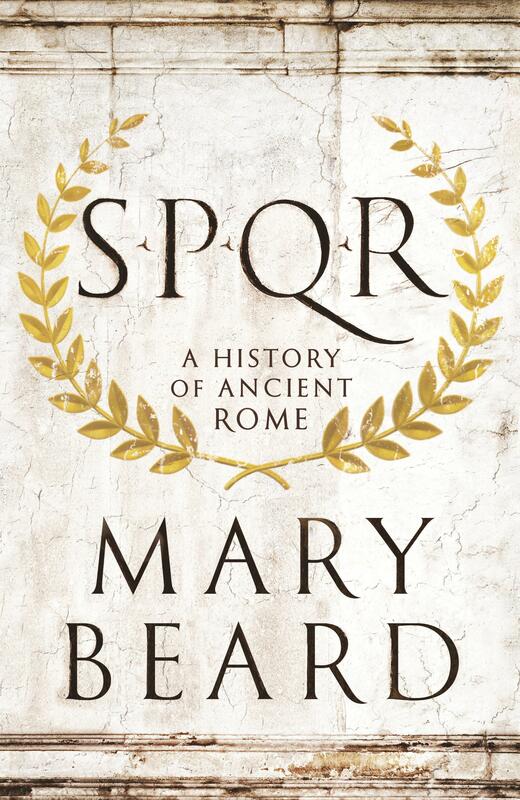 (from the Latin Senatus Populusque Romanus or “the Senate and People of Rome”) Mary Beard, professor of classics at Cambridge University, provides a revisionist history of Rome and its formidable empire. Her book covers roughly a millennium, from the legendary founding of “a tiny and very unremarkable little village” in the eighth century BCE by the mythological twin brothers Romulus and Remus, to the third-century-CE emperor Caracalla’s granting of Roman citizenship to all free persons throughout his vast empire. Beard challenges the accepted view of ancient Rome by examining Romans’ view of themselves, thus demonstrating how the fiercely guarded democracy of the republic yielded to imperial rule. Instrumental in that transition was the rise of the military strongman, the hero who could guarantee victory in war and protection for Rome. This compels her to revisit the stories of such well-known figures as Julius Caesar, Mark Antony, Cleopatra and Augustus, but also to seek out the generally neglected perspectives of lesser characters in the story: low-born Romans that we’ve probably never heard of, including women, slaves and ex-slaves, as well as the foreigners who suffered defeat at the hands of Rome’s conquering heroes. 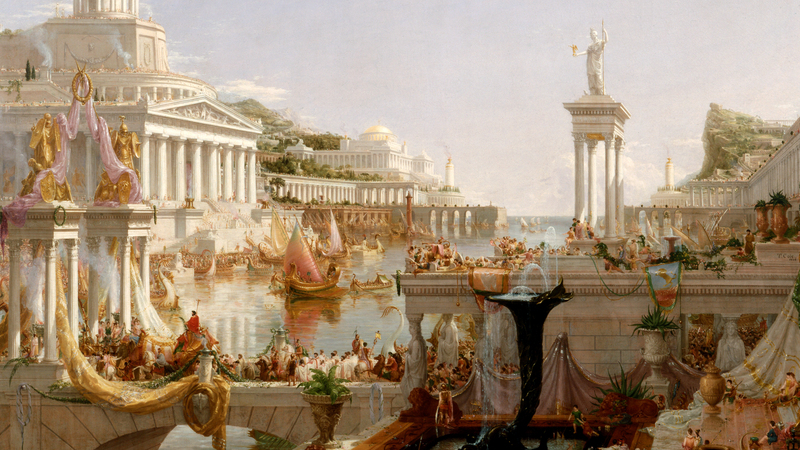 Rome’s early regal period would likewise come to define aspects of the future empire. For instance, an early ruler named Servius Tullius is credited with devising the Roman census, a method of counting and rank-ordering the people, thereby enshrining in Rome’s political process the idea that the rich had more right to power than the poor. And Numa is credited with formalizing the structure of official Roman religion. Beard tells us that one of the pagan priesthoods supposedly founded by Numa was the pontifex or “bridge builder,” actually a council of priests. The name resonates today in the word pontiff. This comes as no great surprise as the later Roman Catholic Church, under Pope Leo I (440–461 CE), actively structured itself according to the model of centralized Roman government and assigned the Roman priestly title Pontifex Maximus to the pope. Thus in some senses Roman Catholicism grew up out of Rome, with a structure and offices of governance created in the image of Rome and persisting to this day. Adrian Goldsworthy, a leading historian on the ancient world, makes a similar point in his work Augustus: First Emperor of Rome. Julius Caesar (who after his assassination would be declared a god—Divus Iulius) and his adopted son Augustus would both hold the title Pontifex Maximus, a “primarily political” role as “Rome’s most senior and prestigious priest.” Goldsworthy confirms that this priestly role was, following Augustus’s taking up of the title, “never again held by anyone who was not emperor, until Rome had fallen and the pope took the title.” This fact is critical, then, for understanding the development of the empire as bound up with Roman Catholicism. The popes assumed a title snapped off from the emperors of Rome themselves, a title of political power that was originally created for pagan priests. Goldsworthy’s strength and depth as a military historian add muster to his biography of Augustus. The work traces the rise of Caius (or Gaius) Octavius, who began as “a very minor senator” and ended as Rome’s first emperor. As the great-nephew and adopted son of Julius Caesar, it was Julius’s death in 44 BCE that led Octavius (now to be known as Caius Julius Caesar) to seek all the honors held by his adoptive father. In 43 the young Caesar was elected consul at the age of just 19. His rise was characterized by bloodshed, however. Tensions between Antony, Lepidus and himself were temporarily resolved as the three formed a triumvirate to govern Rome. In January 42 Julius Caesar was formally declared a god, and a temple was erected to honor him. Although the new Caesar did not immediately take up the title “son of a god,” the implication was clear, and within a few years he became one of the most powerful men in the world. 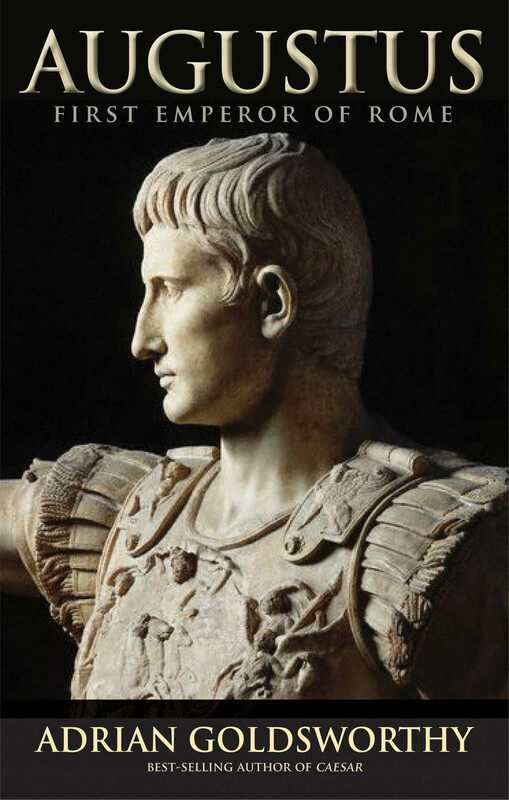 For all his would-be divine titles, “Imperator Caesar Augustus remained a warlord whose dominance was based ultimately on his control of far greater military force than anyone else,” says Goldsworthy. By modern standards he remained a military dictator; in fact another famous dictator, Benito Mussolini, styled himself Il Duce in conscious emulation of the dux Augustus. 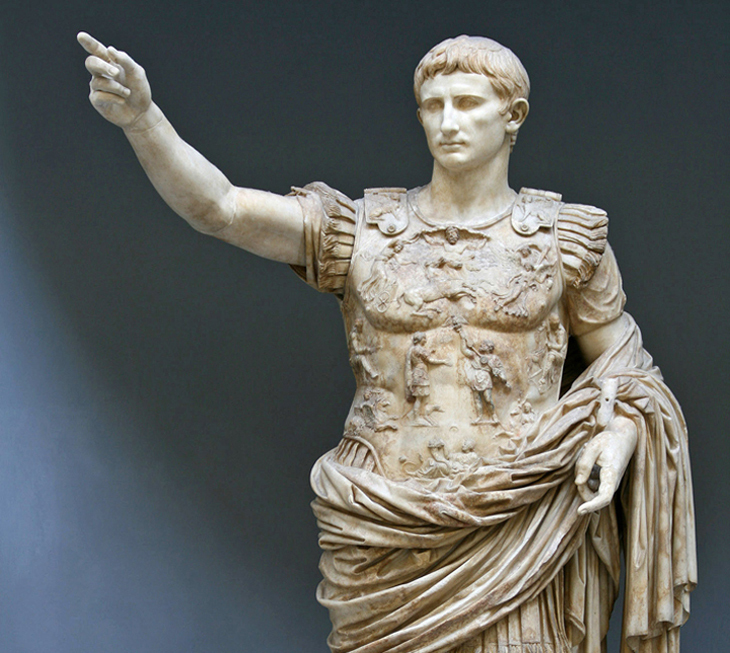 In August (a month he named after himself) of 14 CE, Augustus, “the father of his country,” died. The Senate subsequently declared him to be not just the son of a god but a god in his own right. An interesting side note is that Jesus Christ, called the Son of God and destined according to the Bible to become “King of kings,” was born during the reign of Augustus—the emperor who initiated a line of Roman emperors as kings of kings. Many of these human rulers would claim to be divine and to offer salvation for their people. The seeds that the Roman Empire had planted during its long history were not destroyed by the so-called barbarians when they sacked Rome in 476. The decline of Rome had begun earlier, with the death of the ostensibly Christian emperor Theodosius the Great in 395. He was the last to rule over a united Roman Empire before the demise of the West. Theodosius had instituted religious practices that would define the coming centuries, most notably introducing the term Catholic Christian into Roman Christianity. His adjunct to the word catholic, used by Ignatius in the early second century to describe Christendom as a whole, added an important distinction: by imperial edict, a Catholic Christian was now defined as one who believed in the nonbiblical concept of the Trinity. Theodosius branded as heretics any who did not believe in the consubstantiality of a three-in-one godhead, breathing out divine retribution on them. A century later, as the church and what remained of the empire struggled to find a workable way forward, Pope Gelasius I portrayed the roles of emperor and pope as “two swords” that together held power over the realm. Under this arrangement, Europe underwent a transition from Roman Empire to Holy Roman Empire. That system lasted a thousand years, “well over twice as long as imperial Rome itself,” notes Oxford history professor Peter H. Wilson. The source of the new empire’s continuity and legitimacy was the ideal of a unified Christian civilization. Thus, in the legacy of Theodosius, the “holy” aspect was founded on the idea that the empire should provide political stability for Catholic Christians in the face of whatever the Roman church considered heretical. 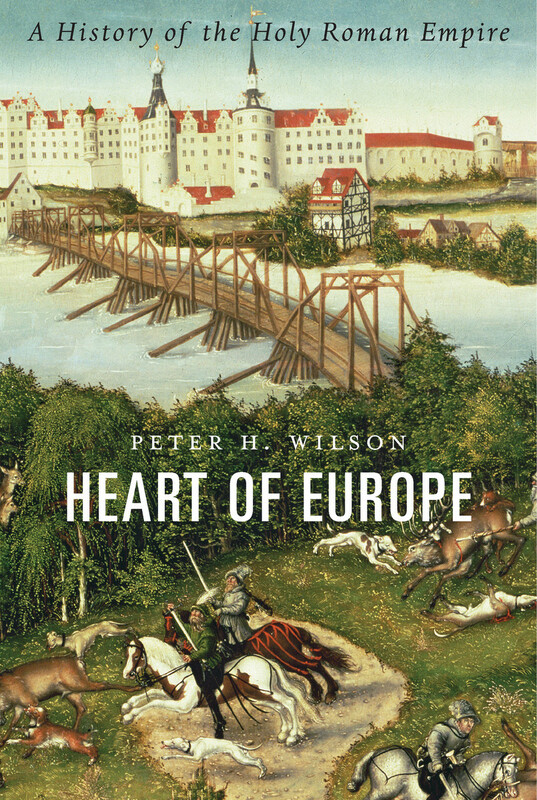 In his Heart of Europe, Wilson traces the history of Europe’s Holy Roman Empire from 800, the coronation of Charlemagne, to its demise in 1806. It was Charlemagne, king of the Franks, who set a precedent for the emperor as the protector of the pope and defender of Roman Christianity, as demonstrated when he visited Rome for the first time at Easter in 774 and climbed the steps of St. Peter’s on his knees to meet the pope, kissing each step as he went. He also ensured that the papacy received lands that his father, Pepin, had left to the church to form the papal state. It was thus to the Franks, an emerging power, that the pope looked to protect Rome. Wilson confirms that the European empire was “a joint creation of Charlemagne and Leo III,” whom he cites as “one of the shiftiest occupants” of the papal throne, having been accused of perjury and adultery. Progressively, however, emperors clashed with popes over supremacy. The roles of Pontifex Maximus and emperor, once unified in the ancient Roman emperors, became openly locked in a power struggle during the long history of the reinvented empire. By the 10th century the core of the Holy Roman Empire centered on the German kingdom, giving rise to the Reich, whose territory eventually extended from the North and Baltic Seas to the Mediterranean and Adriatic. Wilson argues that despite losing the flexibility to cope with political, economic and social changes, the empire was far from being a dead duck until the crisis of the French Revolutionary Wars, when Napoleon defeated Emperor Francis II at Austerlitz, forcing a sudden end to the Holy Roman Empire. One can’t help but think of other realms such as the British Empire and the later Soviet Union, which likewise unraveled quickly. It also casts doubt on the ability of the United States to continue its present world dominance. As we have said, the influence of Rome has been long and pervasive for the West. Wilson is compelling in arguing that the empire’s history can help us understand the problems faced by the European Union today. He makes the case that “since the 2004 enlargement and 2008 economic crisis, opinion on the EU has divided ever more sharply.” One side has argued for further integration, including the creation of a European Parliament, while nationalists such as the UK Independence Party (UKIP) contend that “the EU can never match the vitality of sovereign states.” When the United Kingdom put the respective arguments to a national referendum on June 23, 2016, they became the first member state to officially embark on secession from the union. It’s a worrisome state of affairs for the EU as a whole. Enlargement, the free movement of members, and disproportionate wealth and wealth-creation opportunities have presented undeniable problems as leaders try to perform the alchemical trick of ensuring that member states adhere to one another. The EU is struggling to galvanize equality of strength across the union, and the so-called Brexit won’t help that struggle. Wilson maintains that comparisons between the Holy Roman Empire and the EU “can be instructive, if not necessarily flattering to either the EU or the Empire. First, . . . decentralized political systems are not necessarily peaceful in their intentions.” Certainly the empire was not, and despite the fact that the EU itself has no armed forces (yet) and remains essentially at peace, he points out that both France and the United Kingdom have fought wars under the EU umbrella. Second, like the empire, the EU for the time being lacks both a capital and “a clear political core.” Throughout its long history the empire, too, remained stubbornly abstract, with no fixed capital and no common language or culture. Third, Wilson says the EU “resembles the empire in lacking an organized uniform body of citizens. Its relationship to its inhabitants is indirect and mediated by autonomous political levels, such as the member states, which can still set their own criteria for citizenship, yet issue passports conferring rights extending across the entire union.” He observes that, thus far, the old empire appears to have done a better job of fostering a sense of attachment among its citizens. While the EU certainly bears many resemblances to the European empire of old, the current world stage lacks elements that saw the former empire reach its fullest integration and strength: a leader regarded as a savior of the people, and a single religious or pseudo-religious order founded on a binding myth. In a global economic climate, where disillusionment with politics, politicians and religion are commonplace, what it would take to bind people into a common framework like that of the ancient Roman Empire remains an open question. Without a doubt, the pursuit of wealth and comfort, the desire to enshrine personal freedoms, and the aim of ending religious conflict remain potent magnets for drawing mass adherents on a global level. However, no matter what form future empires may take, the Bible gives us the critical insight that the flawed model of empire that has come down through history has only a finite period of time left to stand (Daniel 2:36–45). Human attempts at political and religious unity have not brought world peace. When Christ comes to the earth for the second time, He will therefore topple the empires and powers of this world and set up the eternal kingdom of God on the earth (Revelation 14:8; 11:15). This global kingdom and its government will be nothing like that which has come before; it will be free of all violence, corruption and greed. The takeaway for us seems to be that while Rome established the standard for world-ruling empires and emperors for the past two thousand years—as the authors of these three books ably enable us to see—it cannot form the basis of the government that will ultimately prevail on the earth. And given the former empire’s track record, that can only be viewed as a good thing.